Derek Black grew up deeply embedded in the white nationalist movement. But while at college Derek questioned his involvement before strongly renouncing his previous views. We talk to him about what catalysed this change, if others are likely to follow in his footsteps and the role white nationalism is playing in politics in 2019. 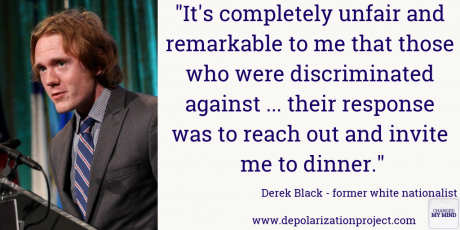 Derek's journey has been covered in Pulitzer Prize-winning journalist Eli Saslow's book Rising out of Hatred.